This fabulous young pup is Weldon, a 7-month old 45 lb male retriever mix. He is sweet, gentle, and affectionate. He loves playing with the resident dogs and kids at his foster's house, and ignores the cats. 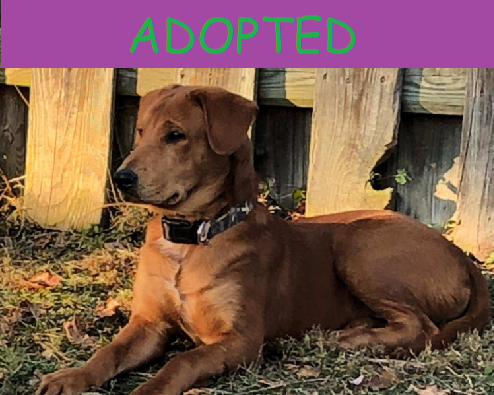 As we have gotten to know him, we have learned Weldon takes a great deal of comfort having other, confident dogs around him, so he needs to go to a home with another dog. Come and meet our PAW dogs at one of our weekend adoption shows at local area pet stores. The shows run from 12 - 2 pm. Not all our dogs attend every show so if you are interested in meeting a particular dog send an email to info@paw-rescue.org before coming to the show to arrange a visit. PLEASE NOTE: We can adopt our animals to locations within one to two hours of the MD/DC/VA metropolitan area.